Gentry Lareen Hill, our beautiful daughter, sister, aunt, mother and friend, returned to the arms of our loving Heavenly Father on December 1, 2018. Her passing has left her family heartbroken, especially her three amazing boys, Cannon (7), Cash (5) and Ledger (1). Gentry was born on September 28, 1984 in Ogden, Utah. She is the oldest daughter of Joey and Wendy Hill. She was a spunky little girl who was always putting on a show for anyone who would watch and loved putting a smile on their face. She was smart, loving and a friend to all. There wasn’t anyone that she came in contact with, that she didn’t make feel special and care about. She always had a sparkle in her eye and those dimples in her cheeks, with that constant smile. Gentry was a member of The Church of Jesus Christ of Latter-day Saints. 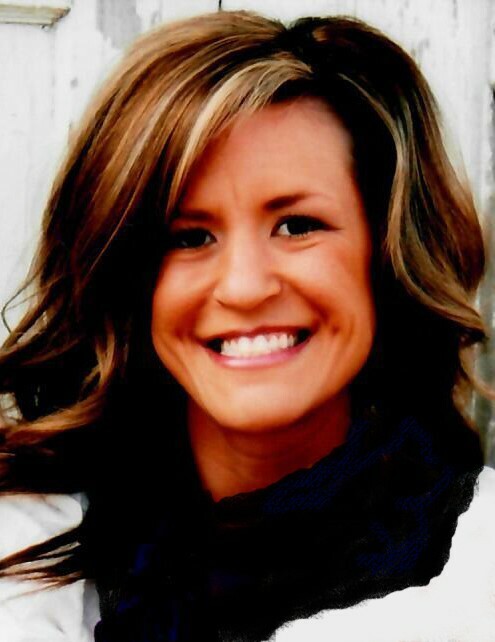 She attended Clearfield High School and graduated with High Honors in 2003. She cheered throughout her junior high and high school years and developed many friendships that she cherished. She was very protective and the first to stand up for anyone in need. Gentry welcomed her first baby boy, Cannon in February of 2011 and began the happiest journey of her life, then adding two more of her greatest joys, Cash in September 2013 and Ledger in December 2017. Her boys were her whole world and they loved and cherished every moment with their mommy. She is survived by her sweet boys; parents of West Point; sister, Haylee (Jake) Ashworth of Spanish Fork; brothers, Brady (Tiffanie) Hill of South Ogden, Casey (Keely) Hill of Harrisville and Cody (Karlie) Hill of Syracuse; 14 nephews and two beautiful nieces that she loved dearly and they loved her back just the same, grandparents, Donald Wintle and Janet Hill; along with many aunts, uncles and cousins who loved and adored her and the beautiful person that she was. Preceded in death by her grandmother, Lareen Wintle; grandfather, Robert Hill; uncles, David Donald Wintle and Alvin Watrin; cousin, Jordan Don Whitesides and nieces, Piper and Tilly Ashworth. She fought a valiant fight, ultimately losing the battle to addiction. We love you Gentry, you’ll forever be in our hearts and always on our minds. Until we meet again, Gent. A Celebration of Her Life will be held on Saturday, December 8, 2018 at 11 a.m. at the West Point Stake Center, 550 North 2300 West. Friends may visit with family on Friday from 6 to 8 p.m. at Lindquist’s Roy Mortuary, 3333 West 5600 South and Saturday from 9:30 to 10:30 a.m. at the church. Interment, Lindquist’s Washington Heights Memorial Park, 4500 Washington Blvd. In lieu of flowers an account has been set up for her boys at America First Credit Union, under Gentry Lareen Hill.